I thought for this post I’d list a few of my favourite starters you can try for your next dinner party. These may be finger-foods, but they are elegant and their flavours are out of this world! Lay out the slices of Bresaola on a board, spread with ricotta and add a healthy amount of lemon zest on top. 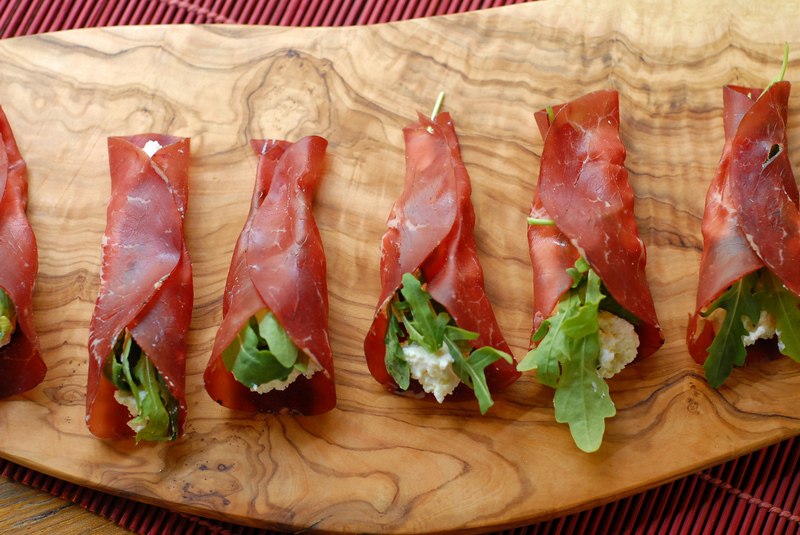 Finish with a few leaves of arugula and then roll into neat little bundles. Cut 2 inch wide strips of flattened fior di latte. Add prosciutto and arugula and roll. Drizzle with Extra Virgin Olive oil for the presentation. A bit more complicated, but totally worth it! The wine adds moisture to the grated Parmigiano, making it spreadable for your crostini. You can toast the crostini or not. Cube (leave the skin on for texture) and finely dice two pears, ands set aside in a bowl. Add olive oil and season with pepper. Stir and set aside. 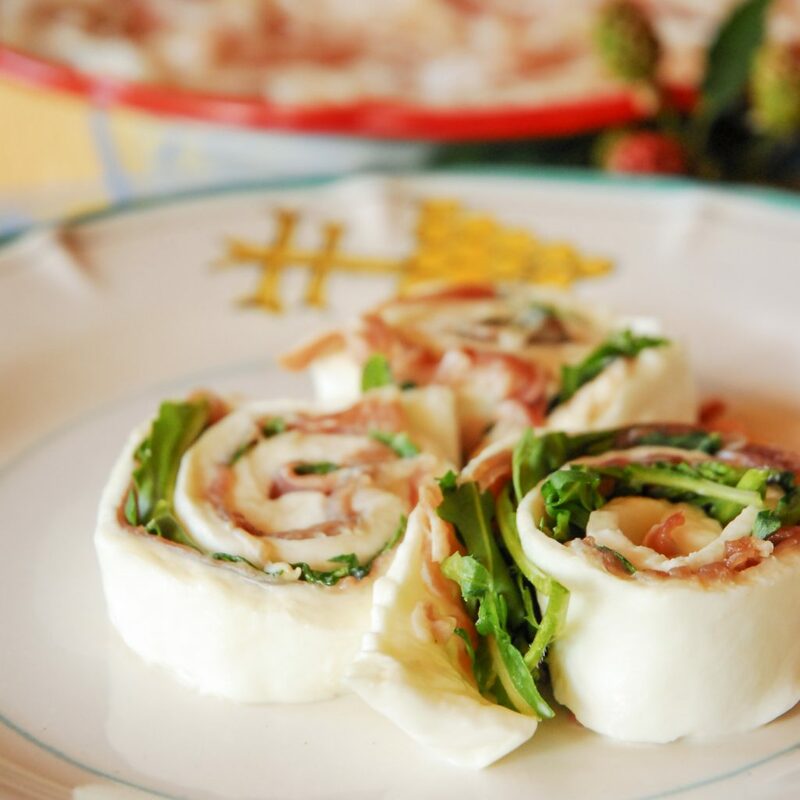 Combine the Parmigiano and white wine in a mixing bowl and blend until the mixture is well-incorporated and creamy. It’s a bit of work, so you can use an electric mixer or stand mixer, but you can also do it by hand. 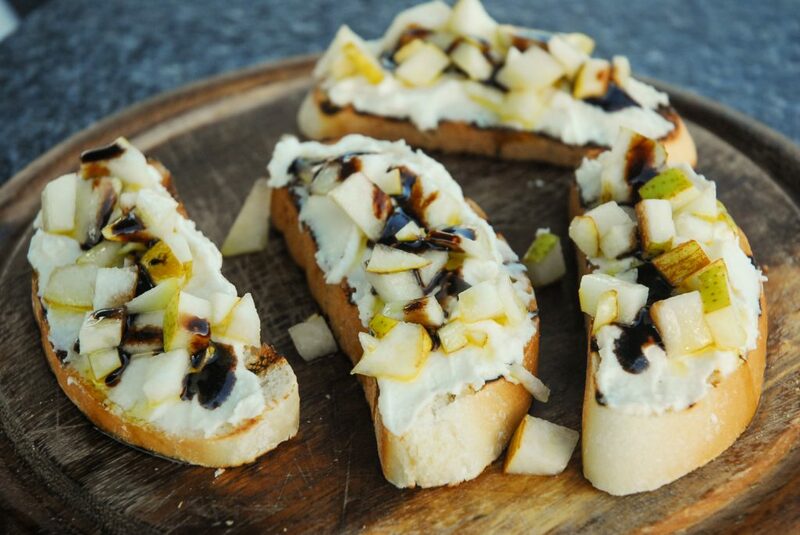 Spread the cheese mixture over the crostini and top with the pears. Drizzle with balsamic vinegar. If you want you can eliminate the pear and mix the Parmigiano and wine with chopped walnuts and chopped black olives. Or add chopped sundried tomatoes to the mixture.